Little Parker Sullivan, son of Tommy and Nicole Sullivan, shows off his Boilermaker Code T-shirt. His father purchased the shirt last year while serving as a delegate to the 33rd Consolidated Convention. After going through MOST’s Boilermaker Code training, Tommy, L-154 (Pittsburgh), became an enthusiastic supporter. 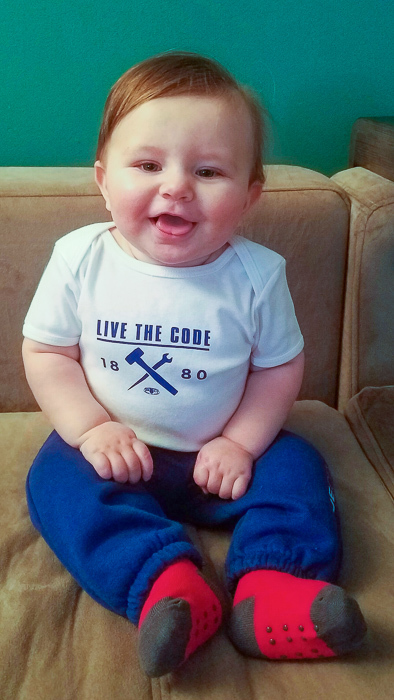 “It’s never too early to start living the Code,” he says.